Bourbon has a way of making itself known. 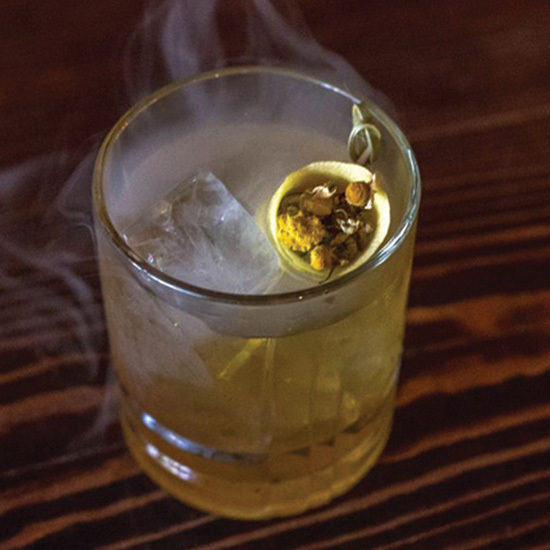 And these 10 innovative cocktails—from stirred spirit-forward drinks braced with smoky or bitter touches to lighter, fruity libations—conjure the warming essence of the last few months of a year. 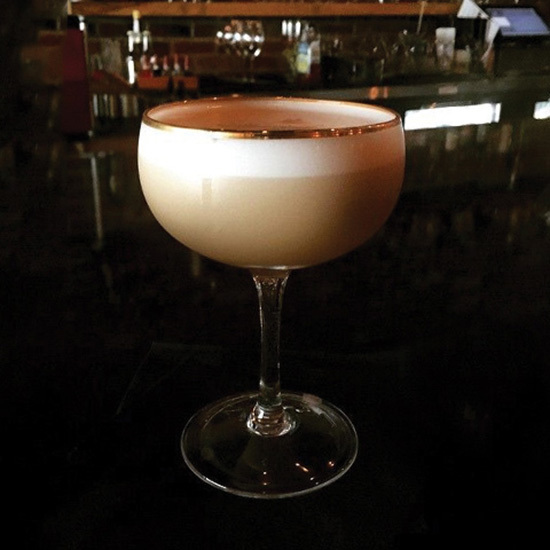 Head bartender Jeffrey Moll will create a new iteration of this drink each season for this upcoming spot. 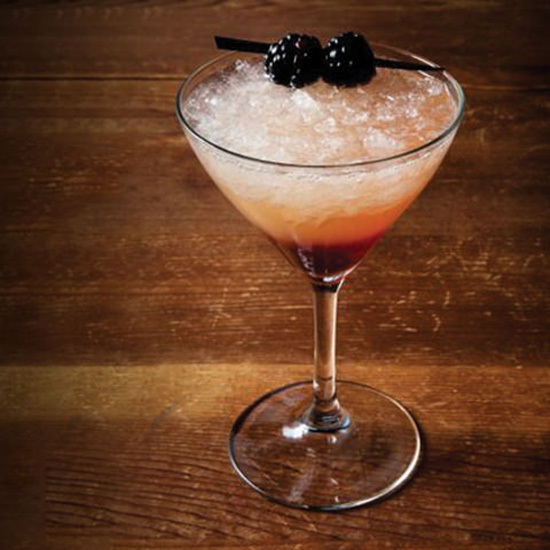 Each drink will also feature a different fraction (37¼, 37½, etc.). The three-quarter features bourbon, Big O ginger liqueur (a local Missouri spirit), plus house-made crème de rhubarbe liqueur and house-made BBQ bitters. The finishing touch? A canopy filled with applewood smoke. 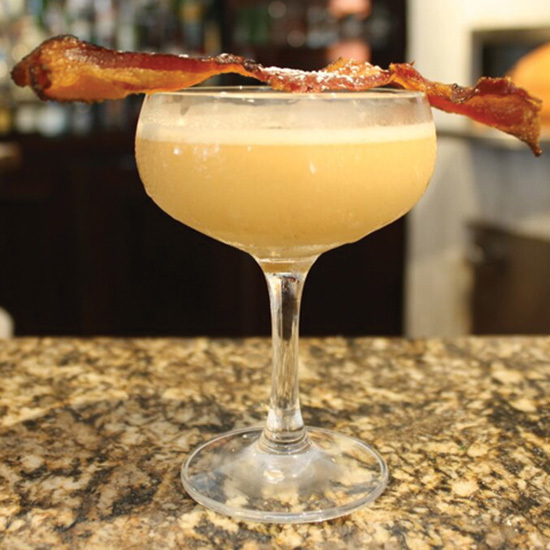 Head bartender Dan Rook crafted this breakfast-inspired flip for the restaurant’s brunch menu. Its ingredients: Buffalo Trace bourbon, a whole egg, maple syrup, crumbled bacon, Peychaud’s bitters and powdered sugar. Worth it for the crisp bacon strip garnish alone. Beverage manager Eduardo Guzman makes this pretty pink drink with Buffalo Trace bourbon, Bitter Truth Elderflower Liqueur, lemon and blackberry grenadine. 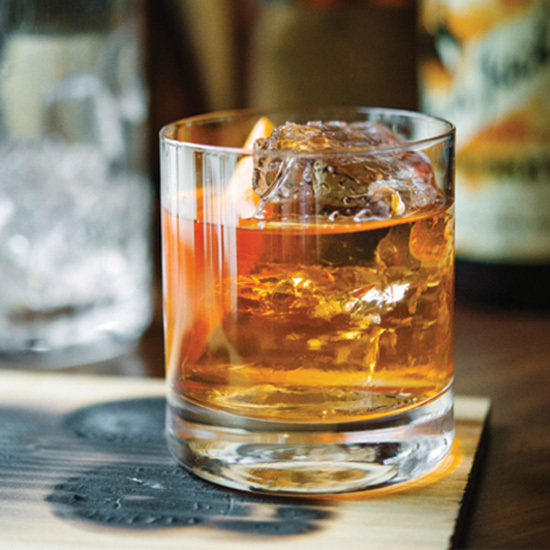 Named for the notoriously dark TV show, this appropriately dark and bitter drink mixes Bulleit bourbon, Demerara, Angostura bitters and Regan’s No. 6 orange bitters, plus cedar smoke. The name may draw a giggle, but the drink is serious stuff. 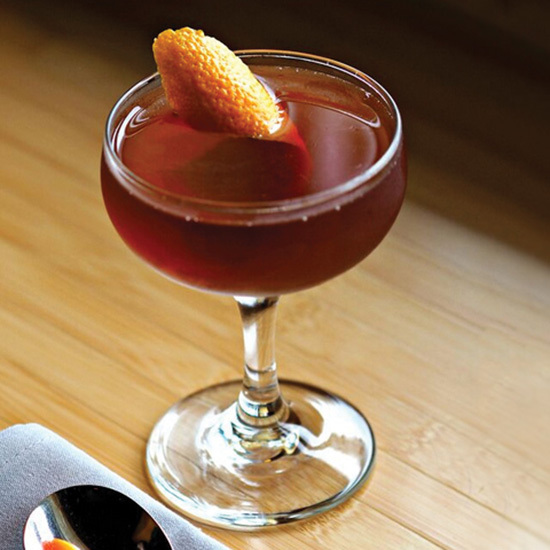 Drawing on the restaurant’s Pan-Asian concept, head bartender Jeff Spear combines Japanese plum wine with Bulleit bourbon and Angostura bitters for a subtly sweet-spiced profile. 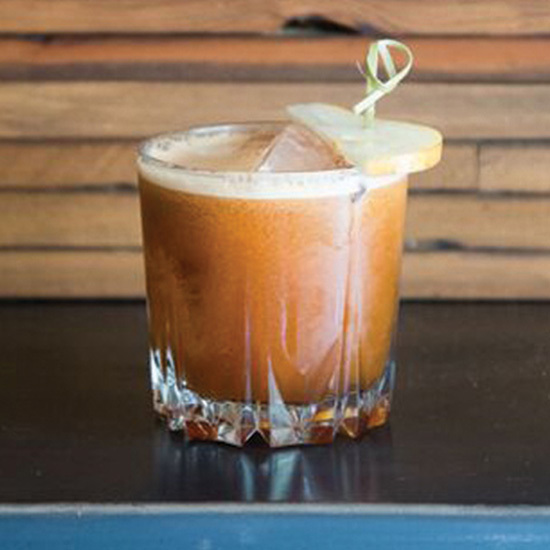 This particularly complex cocktail, created by Mike Di Tota, starts with brown-butter bourbon and house-made spiced burnt-orange syrup. It’s then mixed with Luxardo Amaro Abano, pear nectar, lemon and Angostura bitters and topped with a pear slice speared on a bamboo pick. 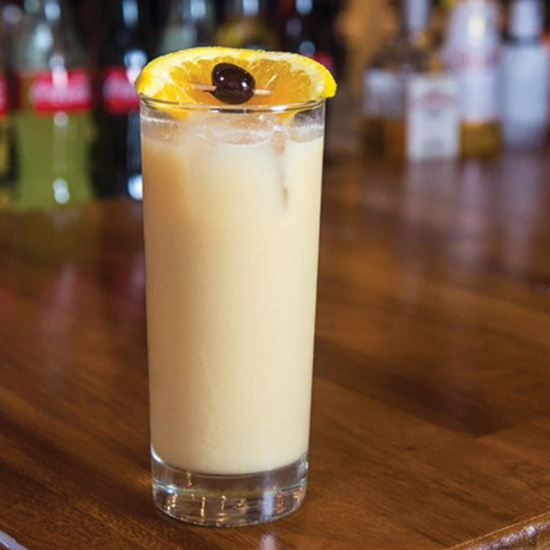 Creamy and delicious, this drink mixes Michter’s bourbon with Luxardo amaretto, lemon, raspberry, egg white and black walnut bitters for the ultimate mash-up of Flip and Amaretto Sour. 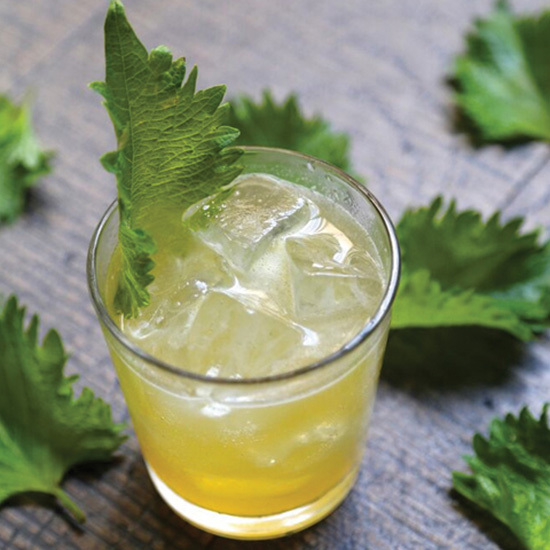 Here, bourbon takes on Asia-inspired flavors, rounded out with kumquats, lemon and shiso leaves. 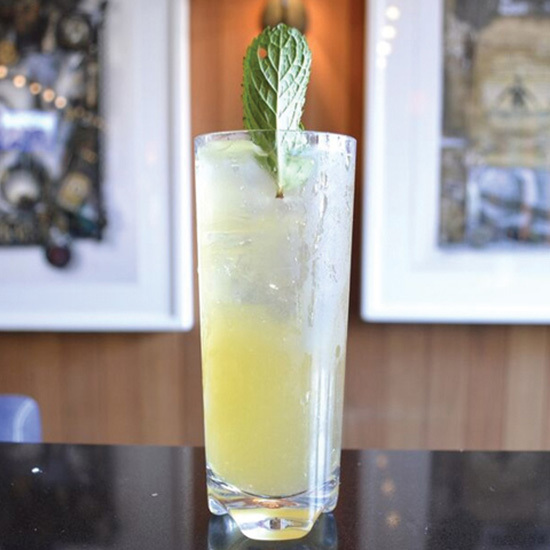 Bearing a passing resemblance to a stone fruit–inflected Julep, this highball showcases Woodford Reserve bourbon, apricot preserves, lemon and mint.